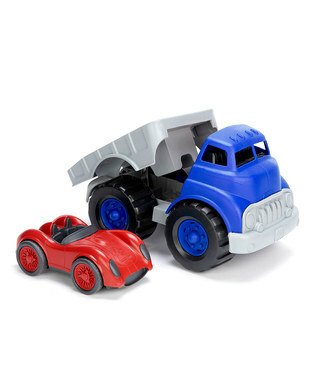 On Zulily today you can save up to 45% on eco-friendly toys from Green Toys. 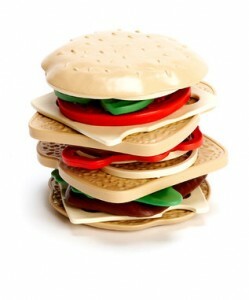 All toys are created from recycled materials. The above Red & Blue Flatbed Car set is just $19.99. This Sandwich Shop Set is only $11.99. They also have a school bus, dump truck, tea-party set, tool kit and much more!